Evans Gambit - Chess Gambits- Harking back to the 19th century! The Evans Gambit is a popular branch of the Italian Game which begins with 1.e4 e5 2.Nf3 Nc6 3.Bc4 Bc5 4.b4. Most of White's other gambit lines in the classic Open Games (1.e4 e5) involve either sacrificing the d4-pawn or the e4-pawn in order to free up lines for development. In the Evans Gambit, however, White attempts to "decoy" the c5-bishop away from covering the important d4-square, thus making it possible for White to freely build up a strong centre with c2-c3 and d2-d4. 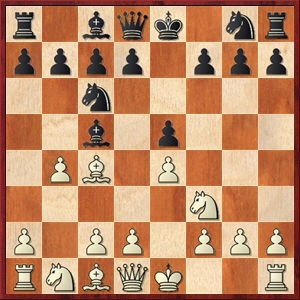 White will then aim to use the strong central control to build up a powerful attack against the black king, and common motifs include Nf3-g5 and Qd1-b3, putting pressure on f7, and Bc1-a3, putting Black under pressure on the a3-f8 diagonal, and in some variations putting the bishop on a3 can catch the black king in the centre. The line is frequently recommended to beginners as an alternative to the traditional Giuoco Piano with 4.c3 intending 5.d4, but it is also occasionally used by grandmasters, notable examples including Nigel Short and Alexander Morozevich, and Garry Kasparov used the gambit with success a few times in the 1990s. The general consensus is that White is able to get enough compensation for the sacrificed pawn, but probably not enough to provide a theoretical advantage. Black can decline the gambit with 4...Bb6, whereupon White normally follows up with 5.a4, and following 5...a6, chooses between an aggressive approach with Nc3 and Nd5, or a more restrained approach with c2-c3 and d2-d3 which often transposes into closed lines of the Giuoco Piano, but rules out some of Black's more ambitious responses such as those involving an early ...d7-d5 and/or ...f7-f5. The latter is less likely to lead to an early attack but possibly more likely to give White a theoretical edge. More critical is to accept the gambit with 4...Bxb4 (4...Nxb4 5.c3 Nc6 transposes to 4...Bxb4 5.c3 Bc5). White usually follows up with 5.c3, preparing d2-d4 and gaining time on the bishop. 5...Ba5 is then the most critical response, pinning the c3-pawn against the white king and thus narrowing down White's options. Play then typically continues with 6.d4 exd4 (or 6...d6 7.Qb3 Qd7) 7.Qb3 (or 7.0-0) whereupon Black should probably avoid the temptation to grab the pawn on c3, as White gets an accelerated initiative which resembles an improved version of the accepted lines of the Danish and Göring Gambits. Black has three other reasonable bishop retreats, 5...Bc5 (usually leading to the "Normal Position" after 6.d4 exd4 7.0-0 Bb6 8.cxd4), 5...Be7 (often favoured by grandmasters, though it is not a serious test of the gambit) and 5...Bd6 (reinforcing e5, but blocking in Black's c8-bishop). It is worth noting that if White wishes to play the Evans Gambit, he or she must have something ready against the Two Knights Defence (3...Nf6). 4.Ng5 and 4.d4 are the more aggressive approaches that are most in keeping with the spirit of the Evans Gambit (4.Ng5 tending to be preferred by grandmasters Nigel Short and Alexander Morozevich), while 4.d3 is a more restrained alternative. There is also no way to reach the Evans Gambit without allowing the Petroff Defence (2...Nf6), though if the Petroff is a problem, one possible move-order trick is to try the Bishop's Opening (1.e4 e5 2.Bc4) intending to meet 2...Nf6 with 3.d4 (usually leading to the Urusov Gambit) and 2...Nc6 with 3.Nf3 transposing to 1.e4 e5 2.Nf3 Nc6 3.Bc4. Harding also wrote a couple of good books on the Evans in the 1990s (Play the Evans Gambit and Evans Gambit and a System vs the Two Knights) although the theory in these may now be out of date. I advise against Richard Moody's The Evans Gambit Revolution, which contains some dubious recommendations for White (such as 4...Bxb4 5.c3 Ba5 6.d4 exd4 7.0-0 Nge7 8.Ng5 d5 9.Nxf7). Recent books covering the Evans Gambit have mostly been written from Black's point of view (of these, Marin's Beating the Open Games gives a useful coverage of the 5...Ba5 lines, and Quality Chess has made the Evans Gambit chapter freely available online). I hesitate to recommend Jan Pinski's 2005 book Italian Game and Evans Gambit as although I haven't seen his coverage of the Evans, his coverage of some other variations (notably the gambits 4.d4, 4.0-0 Nf6 5.d4, and 4.c3 Nf6 5.d4 exd4 6.0-0) tends to be biased towards Black. A more recent source is the Alterman Gambit Guide-White Gambits by Boris Alterman, which has a chapter on the Evans Gambit which gives an introductory coverage.